As international movers, Ward North American is unsurpassed in our ability to relocate families, businesses, employees or commodities all over the globe. As North American Van Lines’ highest-quality agent, we excel at coordinating and executing moves from any origin to any destination in the world. Our comprehensive planning, extensive experience and unbeatable service and support ensure a problem-free international move. We are the international moving company to choose when you need a reliable, worry-free transition overseas. When you need the superior international moving company, you need Ward North American. 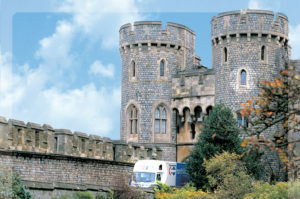 We are international movers who can cater to your every moving and storage need while still remaining cost-effective. Our overseas relocation services are comprehensive and streamlined for a stress-free experience. Contact Ward North American, your Dallas, Phoenix, Austin, Houston, Killeen, and San Antonio international moving company of choice. We look forward to discussing your upcoming overseas relocation and/or storage needs with you. Request your free in-facility estimate right now by filling out our quick and easy quote form.